Kathryn Helms took her first bookmaking class at Penland Craft School in 2003. Everything shifted for her from there because upon her return she began moving away from sculpture and toward paper and book making. A second and third trip to Penland craft school further shaped her ways of working and preferred materials. Though she makes journals and artists' books still, her recent work is now focused on calligraphic exploration and graffiti-inspired, mixed-media works on canvas. Experimentation and exploration of materials, paired with a playful approach to layering and cropping, results in compelling images that fit well into spaces for living and working. 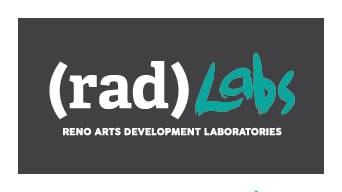 RADLabs (Reno Arts Development Laboratories) was born in Baltimore, Maryland, when Kathryn began teaching art and communication skills to a small group of homeschoolers and their parents. 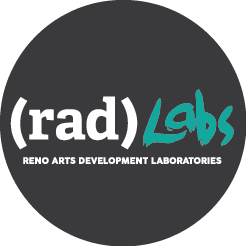 RADLabs offerings varied from private workshops, public classes, Parent/Child art tutoring, private lessons, studio art, birthday parties, handmade brushes and journals. In this shop, you'll find prints of paintings and collages and nature photography, as well as digital mandalas made from detailed photographs. Kathryn says that photographs are simply symptoms of well lived and wonder-filled noticings of the world as she moves through daily life. Her paintings and collages are often rooted in Chinese Medical concepts of the five seasons and are intended to encourage growth and movement where we flourish. 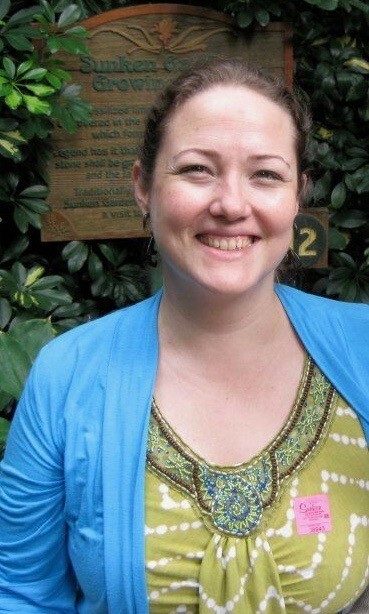 In her work, Kathryn uses words and phrases to create abstract images that carry a message for healing or inspiration. Even when the words are illegible, they are powerful signals to our brains and bodies. Fill your space with joy, tenderness, inspiration, courage, and vision by purchasing artwork available in the RADLabs shop.